NTS nutri-tech Solutions Our goal is to improve nutrition from the soil up. Let's work together to maximise your profit while improving your sustainability. Find recommendations, growing advice and more. Just tell us what you produce! Welcome to the home of Nutrition Farming® and the largest sustainable agriculture resource on the internet. Explore hundreds of free articles & videos or consult with world-class agronomists. NTS has developed a highly successful system which aims to reduce chemical reliance, regenerate the soil, boost plant vitality and enhance human health. We are creating more profitable, productive farming enterprises across the globe. 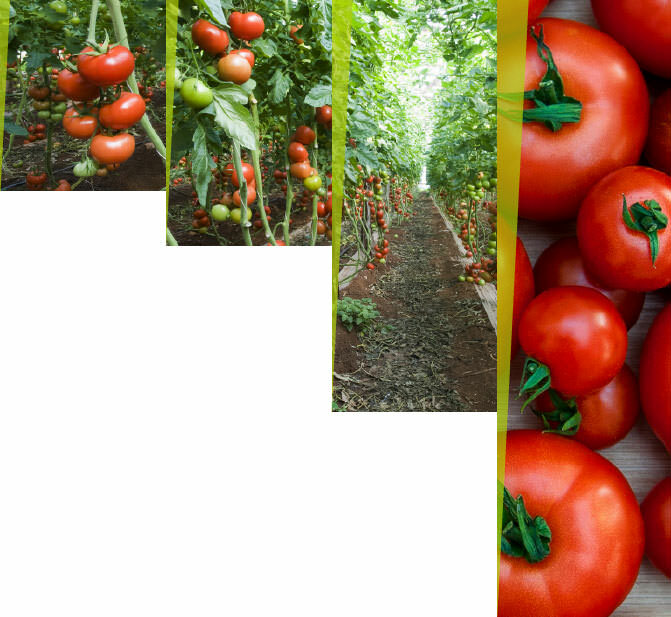 Nutrition Farming® is the next-generation approach to high-production agriculture and horitculture. Learn all about humus, the layer of soil essential for healthy food production that is being depleted by unsustainable farming practices. Graeme Sait discusses an issue of unparalleled importance at this time – the role of farmers in literally saving the planet. This presentation offers a range of proactive strategies that allows everyone the opportunity to replace apathy with action. "The Graeme Sait Sessions", filmed on location at the Certificate in Nutrition Farming® in South Africa, are now available for free on YouTube! Buy fresh produce direct from the NTS farm online via the Nutrition Farms webshop. Our first crop of organic garlic is selling fast! Click here to download a simple summary of the key benefits and applications of the top selling NTS products. Humic acid-based, high carbon soil conditioner for the planet conscious farmer/gardener/landscaper. 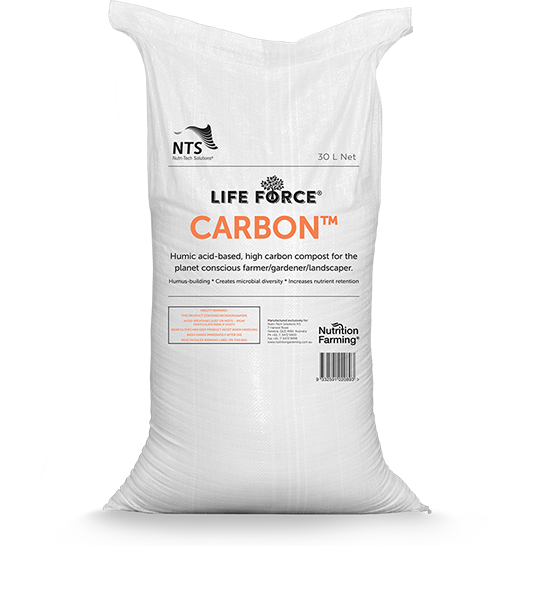 Life Force® Carbon contains a unique blend of humates, composted with a rich suite of natural components to produce a fortified, stabilised carbon blend, the benefits of which will continue for years in the soil. An effective composting process is rigorously followed to ensure a quality-assured soil conditioner, with a balanced pH and an optimum carbon/nitrogen ratio. Sign up to our popular newsletter and receive a FREE E-BOOK. Each week, we deliver the latest news in soil & crop nutrition, animal and human health. Join the thousands of farmers who benefit from this essential publication. © 2010, Nutri-Tech Solutions Pty Ltd.